Learn the basics of using industrial sewing machines! The overlock, high-speed, and leather sewing machines allow you to quickly and easily work with a wide variety of fabrics. Regardless of whether you're working with thick or thin materials, leather, felt or denim – these are the machines for the job! 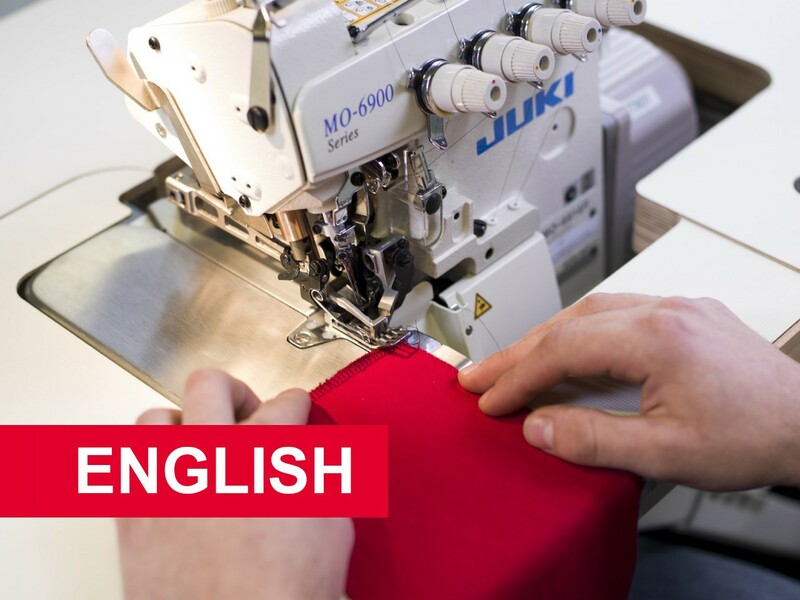 In this Safety and Basic Functions Course (SBFC), you will learn how to use the sewing machines listed above, as well as the pressing station. You will sew a cooking apron as part of the course, which will familiarise you with many of the major steps required to create your own designs. This course is a prerequisite for using the machines listed below at MakerSpace! This course can be taken by children aged 12 and older. Children between 12 and 16 years of age must be accompanied by a parent or guardian. For young people between the ages of 16 and 18, the written consent of a parent or guardian is required. Closed shoes must be worn in the workshop at all times. Access to MakerSpace will be denied in case of non-compliance. All rights reserved. Timings and information subject to change without notice. Please maintain up-to-date contact details so we can contact you in case of changes.